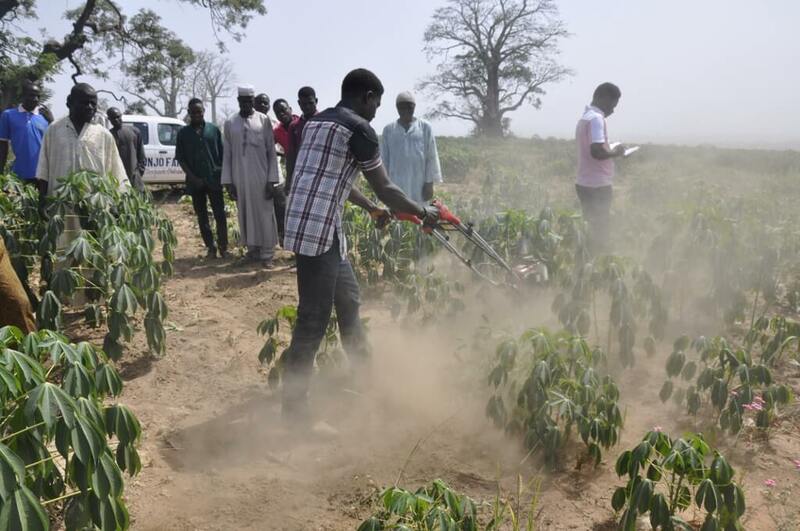 Young cassava farmers and outgrowers of Arogunjo Farm Limited, in Kwara State, Nigeria, were given a cassava weeding machine last December 2015 to ease the back-breaking work of removing weeds from their fields. The machine was donated by the IFAD/IITA High Quality Cassava Flour (HQCF) Project in collaboration with the IITA Cassava Weeds Management Project. IITA’s Uchenna Ene demonstrates the use of the cassava weeding machine to training participants. During the presentation of the machine, over 20 youths and outgrowers including women, were trained were trained on how to use the machine. Bamidele Alenkhe, IFAD/IITA HQCF Project coordinator, advised the youth to maintain the machine properly and also tasked the recipients to appoint a custodian of the machine. The training highlighted the efficiency, maintenance, and guidelines in the use of the weeder to avoid destroying cassava stems. IITA weed management technician Uchenna Ifeanyi Ene skillfully demonstrated the use of the weeder to uproot the weeds without harming the cassava, and let the training participants try using the machine. The participants expressed awe at seeing such a machine that could remove weeds growing between cassava plants. 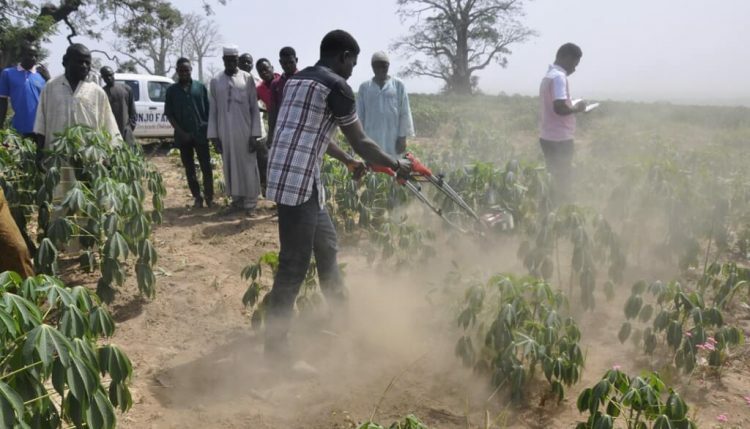 Another youth, Sadu Jimoh, said that IITA should provide more machines and create further awareness about the weeder because it makes farming easier for the farmers. “If farmers like me can be given this machine for free, and combined with the training that IITA has given me on land preparation and the use of improved cassava varieties, then my productivity will increase year in, year out. The training and demonstration did not hinder women from participating, Catherine Imola and Mariam Olaoye also tried their hand using the machine. After the demonstration Imola said “I like the machine. I handled it easily, without stress; with this women’s participation in farming will increase and and we will not wait for men to help us uproot weeds in our farm again.” On the other hand, Olaoye said the machine was a little heavy for her to handle. “Manufacturers should make provision for smaller or lighter machines. If I see something that is a little smaller; I will be fine with it,” she said.